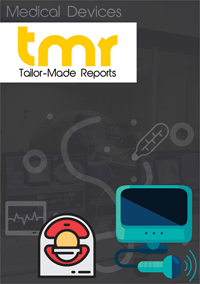 The global muscle stimulator market is foretold to increase growth as it banks on certain factors such as technological advancement in the healthcare sector, improving adoption among physiotherapists, and rising incidence of musculoskeletal disorders. There is still a large percentage of people leading unhealthy lifestyles, lacking fitness, and holding a poor body posture. This has increased the risk of musculoskeletal disorders across the world. Vendors are expected to take advantage of the rising prevalence of musculoskeletal disorders to increase their sales rate in the global muscle stimulator market. Arthritis is a leading cause of disability in adults, as per the findings of the Arthritis Foundation in the U.S. Rising incidence of arthritis and also diabetes is foreseen to push the demand in the global muscle stimulator market. Manufacturers are anticipated to find larger success in the sale of portable muscle stimulators in the near future. These muscle stimulators are used to increase blood circulation, manage chronic pain in arthritis, provide muscle re-education, relax muscle spasms, and prevent muscle atrophy. Muscle stimulator is used in a number of applications such as neurological disorders and pain management besides musculoskeletal disorders. Among these, pain management could emerge as a prominent application of muscle stimulator owing to the rising number of cancer and arthritis cases. Rheumatoid arthritis is also common in children and babies. This could increase the demand in the global muscle stimulator market. On the other hand, high demand for pain management due to the rise in global geriatric population is projected to push the growth of the global muscle stimulator market. The muscle stimulator market is envisaged to show quicker growth in Asia Pacific because of the rising adoption of smart devices and improving awareness about health and fitness. Rising number of sports injuries could also stoke the demand for muscle stimulator in the region. Muscle stimulators are a variety of devices that work on the principle of using electrical impulses on muscles as a way of relieving chronic pain. Techniques such as transcutaneous electrical nerve stimulation, interferential stimulation, neuromuscular electric stimulation, and burst mode alternating current are commonly utilized in muscle stimulators. Muscle stimulators are also used for improving muscle strength, muscle control, blood circulation, and toning muscles. A variety of muscle stimulators are available in the global market and new varieties continue to flow into the global market as companies plough increased resources into R&D practices to stay ahead of competition. As technologies advance, awareness regarding to health rises, understanding regarding sports medicine becomes more profound, and healthcare budgets expand, the market for muscle stimulators is also expected to expand. The key factors driving the global demand for a variety of muscle stimulators include the rising inclination of consumers towards fitness and sports activities and the high rate of adoption of these devices in home care settings and physiotherapy clinics. The market is also driven by rising spending power and increasing healthcare expenditure across the globe. The easy availability of many affordable muscle stimulators across the globe has also propelled the market, especially in cost-sensitive developing markets. However, the market’s growth prospects are expected to be constrained to a certain extent owing to the lack of usage guidelines, availability of substitute products, and low awareness regarding the treatment of chronic pain. High costs of technologically advanced products could also emerge as a limiting factor for the market, especially in developing as well as less-developed economies. Moreover, stringent regulations pertaining the approval and marketing of a variety of muscle stimulators in developed economies across North America and Europe could also hinder the growth prospects of the market to a certain extent. Muscle stimulators are commonly used for treating chronic pain in the back and legs. In the past few years, the number of people suffering from chronic pain has considerably increased. The attempts made by healthcare agencies in recognizing chronic pain as a major healthcare concern has led to an increased awareness among the global population about the need to adhere to effective courses of treatment for their chronic pain conditions. Muscle stimulators are also used by athletes for relieving pain triggered by intense practice sessions and strenuous tournaments. The rising numbers of participants in several sports activities worldwide could also propel the global muscle stimulation devices market. Regions such as North America and Europe, with the presence of several international medical device companies and a large patient pool suffering from chronic pain, have been the traditional leaders of the global muscle stimulators market. The market in these regions features a wide array of product types and several new varieties awaiting FDA clearance. The willingness of the population for spending on personal healthcare and high disposable incomes are some of the major factors leading to the vast demand for a variety of muscle stimulation devices in these regions. However, rising disposable incomes in Asia Pacific and increased healthcare expenditures will develop vast development opportunities for the muscle stimulation devices market in the region in the near future. Some of the most prominent vendors operating in the global muscle stimulators market are Omron Corp., DJO Global, Inc., RS Medical, Inc., NeuroMetrix, Inc., and Zynex, Inc.